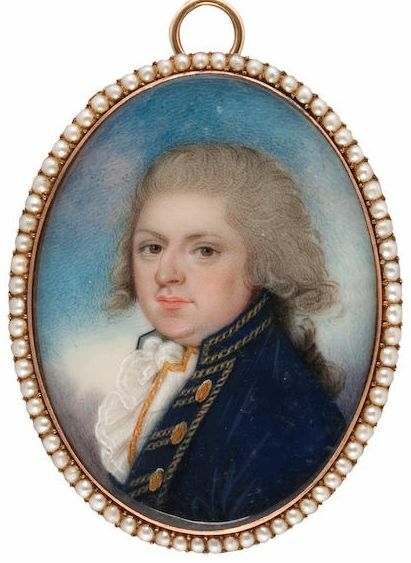 Military and naval dress has long had an influence on everyday fashion and this dapper Georgian gentleman was certainly on trend with his nautically inspired blue coat with its stand-up collar, gold braid and buttons. Even his waistcoat is edged with gold. 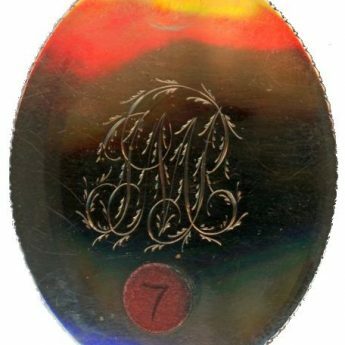 His powdered wig is tied in a queue with black ribbon. Clearly a gentleman who liked to indulge himself as evidenced not just by his rich attire but also but his double chin! The portrait is set in the original gold frame with a beautiful border of seed pearls. 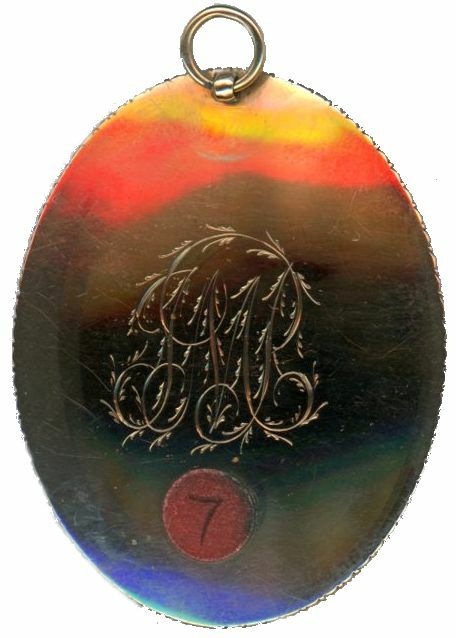 The reverse is enclosed and is engraved with initials JMP.